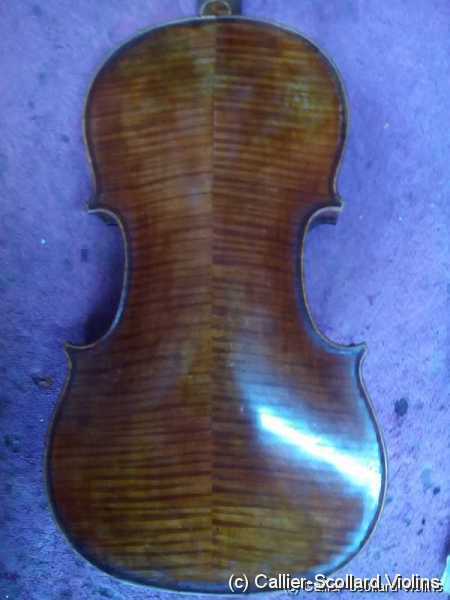 This is a violin that had lots of rosin that was stuck in the varnish of the top. 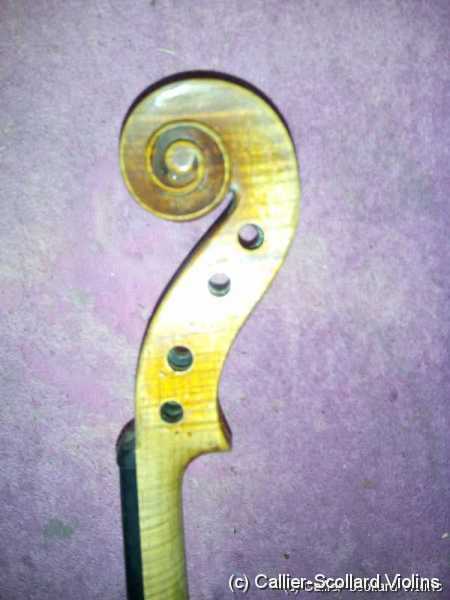 Instruments that have rosin embedded into the varnish need to be cleaned a little at a time. 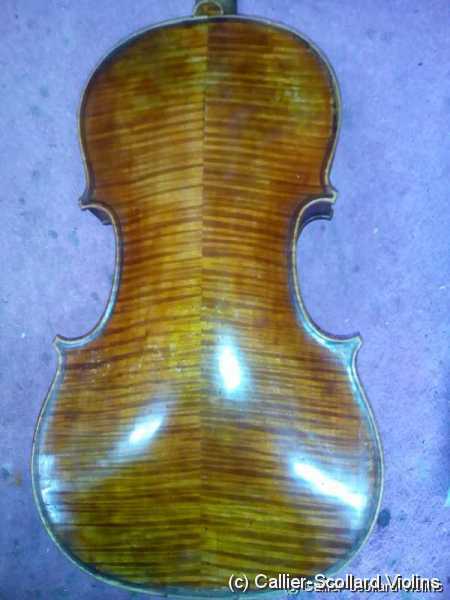 It sometimes takes several weeks of careful cleaning to finally restore the varnish back to it's original transparent appearance. 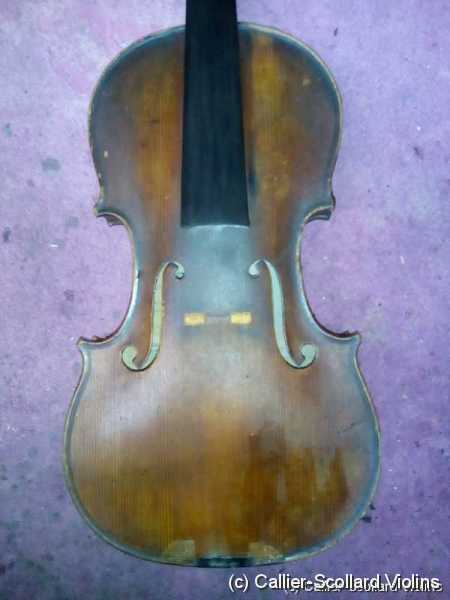 I have my dads violin that was purchased at your original LA store on Sunset Blvd. 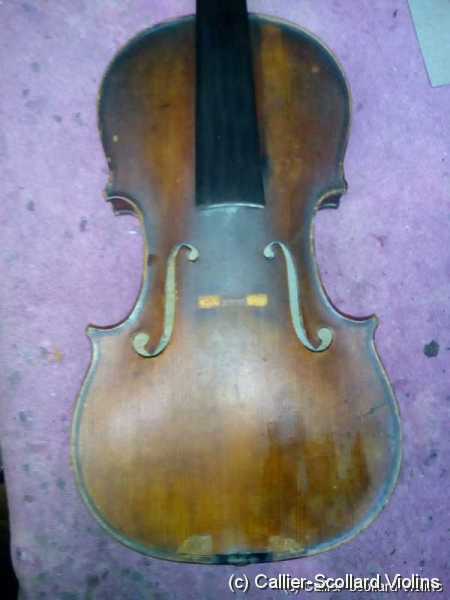 This violin has been played at various army camps during WWW2. 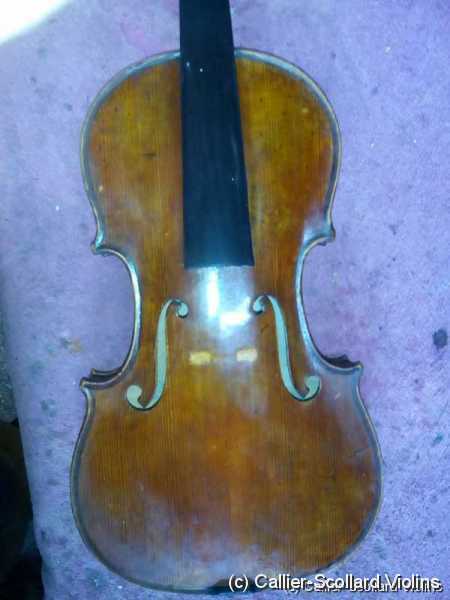 Dad was very proud that he had served around the world and the violin went with him. 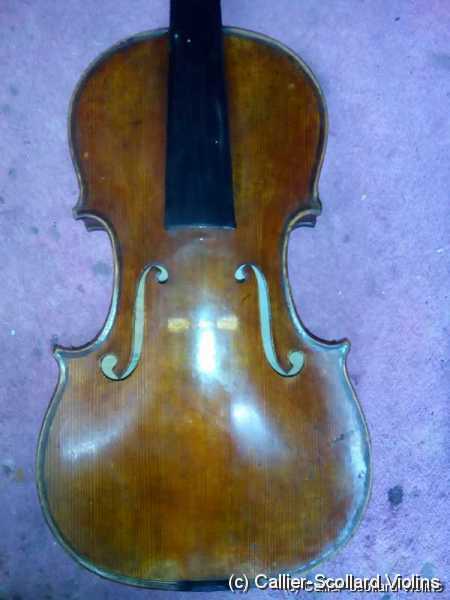 I am wondering what I can do to clean the Rosen away from the bridge without damaging it.